Currently I am writing a chapter on the acoustics of particular buildings in Ostia. 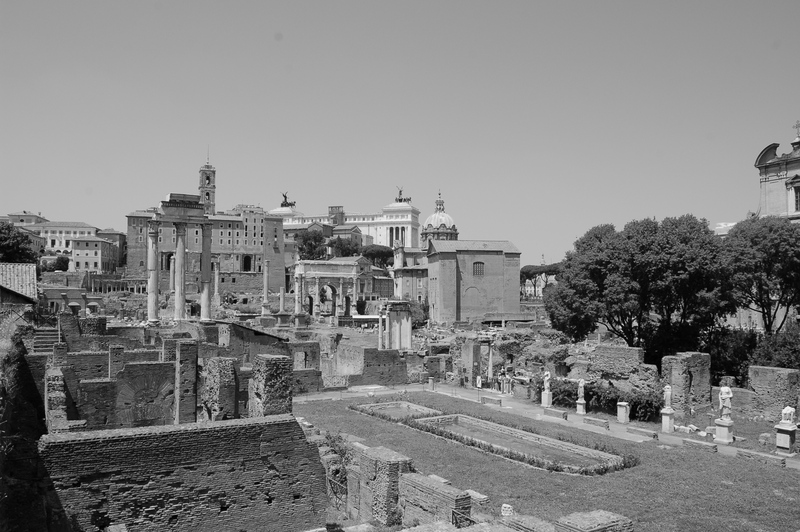 Ostia was the port of Rome and commerce was central to the city’s daily rhythm. The main archaeological evidence for commercial spaces are the shops that line the streets. The basic layout of the shops is a single room, sometimes an associated mezzanine room or back room, with a wide front door. The doorway was set with wooden planks held in place by grooves in the lintel and threshold. Those shops with mezzanines have corbels or other evidence for supporting wood flooring. Despite having similar dimensions and layouts, the acoustics of the shop space has a range of RT60 measures (reverberation time). The range of RT60 values reflects the different sizes, materials and decorations of the shops. While I was in Rome a couple of weeks ago, I went to the Market’s of Trajan and tested the acoustics of several of the shops there. The measures were similar to the measures formulated for the Ostian shops however, one key difference was evident. 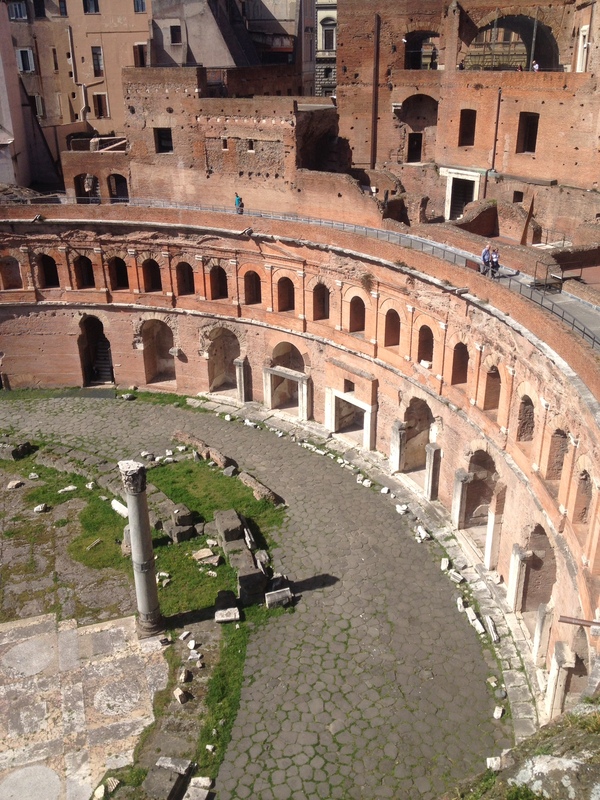 The shops in the Market’s of Trajan did not have wooden doors in place. The doors are the most absorptive material evident in the shops of Ostia. If there were goods, people, or other movable objects, like furniture, they would absorb much of the sound energy as well. Unfortunately, much of that evidence was cleared from the site by the early excavators of the site. Without those materials, I only have the basic physical structure of the shops to assess the acoustics. The doors absorb much of the high frequencies that were evident in the Market’s of Trajan. Shops with mezzanines would have further wooden structures, the mezzanine floors, to absorb more of the high frequency noise. It seems that with the doors left open, which is assumed for most of the day, these shops would have little absorptive qualities, with the exception of the goods, people and furniture that would be kept inside. This further reinforces the notion that these shops were mainly inhabited by low status, poor residents. By no means were they the poorest in the city but, apart from the shop and goods for sale, these inhabitants had little in the way of keeping out the sounds of their neighbours.